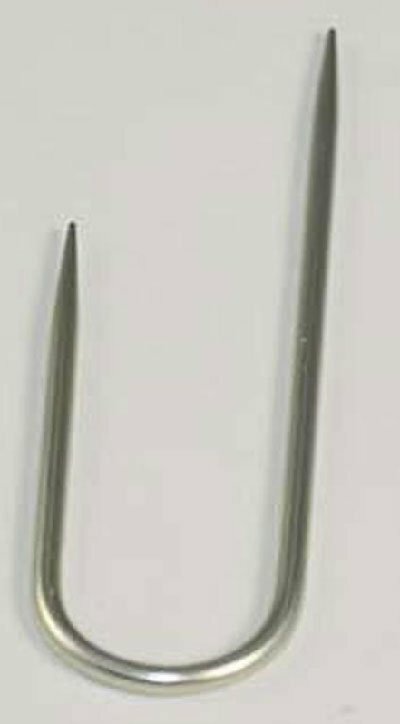 Home > Needlework > Susan Bates Cablestitch Holder 2-3/4"
Susan Bates Cablestitch Holder 2-3/4"
This open end cable needle from Susan Bates is made of lightweight aluminum; which has undergone a special anodizing process that etches away all surface impurities. In addition; each cable needle is heat treated for strength and durability and polished for a velvety smooth finish. This cable needle is perfect for working cable designs with worsted weight and heavier yarns. This package contains one 2-3/4in cable stitch holder.